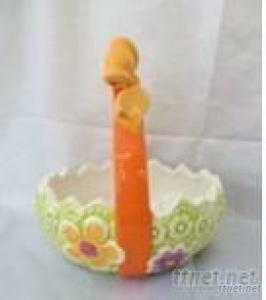 It is made of ceramic for ester day, its size is 20x16x22. when days ciome, you can put what you want in, such easter eggs or others. it is very colorful and special.